If you are convinced that your health can benefit from a probiotic supplement, but you don’t know which one to choose, you may want to give Bio-Kult Advanced Multi-Strain Formula a chance. Buying it could be against the principles of those who try to support the economy by sticking to American products, since this one is made in the UK, but its provenience is not necessarily a bad thing. In America, the FDA does not regulate probiotics, so manufacturers often start from some random studies and combine various strains, attributing them all the benefits one could hope for. In Europe, manufacturers cannot even imply that their products could provide health benefits without proving each claim with relevant clinical studies, as if they were selling medicine, not dietary supplements. 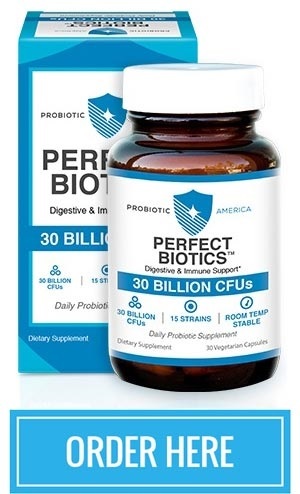 This becomes apparent in the official presentation of this supplement, which resembles the prospect of a pharmaceutical, and does not boast any of the claims that lure so many buyers towards mediocre U.S.-produced probiotic supplements. What does this product claim, and how much does it deliver? Let’s find out! The manufacturer of this supplement is Probiotics International LTD, otherwise known as Protexin, a well-reputed company based in the UK, with over 2 decades of experience in the field and several highly rated products on the market. Their facility holds certifications for Good Manufacturing Practices and compliance with ISO 9001:2008 quality standards. They take the probiotic strains from the National Collection for Industrial, Marine, and Food Bacteria in Aberdeen, UK, international supplier of more than 8,000 bacteria strains, authorized Biological Resource Center according the ISO 9001:2008, and member of the Common Access to Biological Resources and Information consortium within EU Culture Collections. Bio-Kult Advanced Multi-Strain Formula won its second consecutive Best Supplement and Herbal Product Award offered by the Natural Pharmacy Business magazine, based on the votes of pharmacists across the country. It is a foundational probiotic with high potential to benefit those following the Gut and Psychology Syndrome (GAPS) diet, and anyone interested in restoring their gastrointestinal flora, raising their energy levels, and improving their health. Keep in mind that these are not the manufacturer’s promises, but deductions based on customer and third-party reviews and on the ingredients list. This supplement relies on a proprietary blend of 14 strains attributed to a team of doctors whose most notable member is Dr. Natasha Campbell-McBride, the developer of the GAPS diet. The European Qualified Presumption of Safety Committee considers the probiotics in Bio-Kult Advanced Multi-Strain Formula safe. The tests performed during the PhD project of a Reading University student proved the strains’ anti-microbial effects. According to the results, the probiotic blend has the power to inhibit Staphylococcus aureus, E. coli, Salmonella Typhimurium, and Enterococcus faecalis. To ensure the probiotics survive stomach acids and reach the intestines alive, the manufacturer microencapsulates them and freezes them dry. As a result, the supplement is safe to store at room temperature, and the CFU count of the strains is guaranteed until expiration. Speaking of the CFU count, it is of minimum 2 billion/capsule, and subject to controversy. An article in The Telegraph claims that Bio-Kult Advanced Multi-Strain Formula did not pass the tests of some University College London scientists, targeting the CFU count and the strains’ ability to survive the stomach environment and flourish in the intestines. On the other hand, a LabDoor review assures it exceeded the claims, with 59% more live bacteria. The product has impressively positive reviews, from users all over the world, who assure it works incredibly well, and recount administrating it to their kids as well, or hearing about it from respected pharmacists. The recommended dosage is for 1 – 2 capsules of Bio-Kult Advanced Multi-Strain Formula once or twice a day, with food. On the first days of use, or when administrating the probiotics to kids, users can pull the capsules apart and mix their content with food of drinks. Those on antibiotic treatments can take the maximum dosage, of 4 capsules daily, during the treatment and 2 weeks after completing it. Those who travel can begin treatment 2 weeks prior to the trip, with 2 capsules daily, increase to 4 capsules during the trip, and continue use for 2 weeks after returning home. Children under the age of 12 should only receive half of the dosage recommended for adults. Bio-Kult Advanced Multi-Strain Formula does not contain gluten and it is vegetarian-friendly. The manufacturer warns that it contains traces of soy and milk, but assures the quantity is too small to affect those allergic to these substances. You cannot help but love the straightforward, clean, and claim-free presentation of the supplement, similar to a medicine prospect. Add to that the impressive transparency and reputation of the manufacturer, and the overwhelmingly positive reviews, and you have the image of an excellent product. The side effects, which may be difficult to put up with for those who begin with the full dose. However, keep in mind that these capsule ingredients and side effects are common to many probiotic supplements, and users who need 4 capsules daily can always mix the powder with their food or drinks. But, for a clearer image of what this supplement can do, let’s take a look at its ingredients. 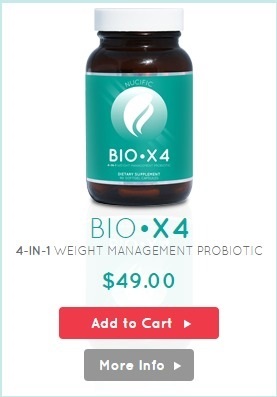 The 14 probiotic strains in this supplement are: Bacillus subtilis, Bifidobacterium bifidum, Bifidobacterium breve, Bifidobacterium infantis, Bifidobacterium longum, Lactobacillus acidophilus, Lactobacillus delbrueckii ssp. Bulgaricus, Lactobacillus casei, Lactobacillus plantarum, Lactobacillus rhamnosus, Lactobacillus helveticus, Lactobacillus salivarius, Lactococcus lactis, Streptococcus thermophilus. The other ingredients are cellulose, hydroxypropyl methylcellulose, and titanium dioxide. Bacillus Subtilis – It is a common strain in probiotic supplements due to its ability to form spores and colonize the gut. Among its health benefits, the most important are immunity support, pathogen inhibition, gut flora balance, better carb and fat digestion, and glucose, triglycerides, and cholesterol control. Bifidobacterium bifidum – One of the most studied strains, it addresses vitamin deficiencies and related conditions, strengthening bones, improving blood flow, boosting energy and red cells production, and supporting physical and psychological development. 3. Bifidobacterium breve – With it, Bio-Kult Advanced Multi-Strain Formula gains the ability to protect the colon from diseases, irritations, and constipation. It should also treat diarrhea, reduce gas, and stimulate immunity to prevent Candida and E. coli infections. Bifidobacterium infantis – Besides fighting infections with pathogens like E. coli and C. difficile, it improves gastrointestinal health, reducing bloating and gas, stimulating immunity and the body’s ability to tolerate lactose. Bifidobacterium longum – Its main function is to boost lactic acid synthesis and sugar fermentation. Due to it, Bio-Kult Advanced Multi-Strain Formula seems to be very effective at fighting constipation, bloating, gas, and gastrointestinal discomfort resulting from anxiety and stress. It should also boost immunity and diminish colon cancer risks. Lactobacillus acidophilus – This vitamin K and lactase synthesizer treats respiratory conditions, regulates cholesterol, and alleviates symptoms of bowel disease, irritation, diarrhea, and vaginal infection. 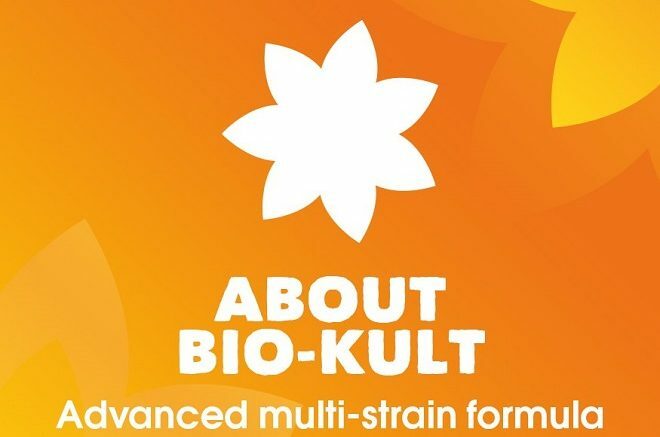 It should improve lactose digestion, helping the body process the traces of milk in the composition of Bio-Kult Advanced Multi-Strain Formula. Lactobacillus bulgaricus – It is an excellent ally in the fight against toxins and pathogens like Salmonella sp., E. coli, C. difficile, S. aureus, and V. cholera. Lactobacillus casei – It helps with gastrointestinal problems, treats constipation and diarrhea, prevents infections, and alleviates antibiotics’ side effects. Lactobacillus plantarum– It is one of the most effective strains when it comes to boosting bowel health and regulating its movements, relieving antibiotics’ side effects, supporting gut flora, and boosting immunity and mood. Lactobacillus rhamnosus – The presence of this strain suggests Bio-Kult Advanced Multi-Strain Formula could prevent rotavirus diarrhea, allergic reactions to peanuts, dermatitis, anxiety, and respiratory infections. It could also boost weight loss and immunity, and reduce the permeability of the intestines and alleviate IBS symptoms. Lactobacillus helveticus – Besides, providing immunity and digestion support, this strain contains pathogens, and prevents virus mutations, hypertension, microbial infections, inflammations, and tumors. Lactobacillus salivarius – This probiotic alleviates antibiotics-related diarrhea, improves tolerance to lactose, lowers cholesterol and blood pressure, treats bowel disease symptoms, and improves dental health. Lactococcus lactis – This strain in Bio-Kult Advanced Multi-Strain Formula inhibits spoilage bacteria, gram-negative and gram-positive bacteria, and fungi growth. It also protects the mucosa against non-respiratory pathogens like HPV, HIV, malaria, etc. Streptococcus thermophilus – It is very effective at boosting weak immunity, improving colon health, lowering colon cancer risks, and preventing and treating intestine irritation, especially from chemotherapy. You don’t have many reasons to worry about allergies if you decide to take this supplement. While it does contain traces of soy and milk, they are in such small amounts that allergic reactions are improbable. More than that, several of the strains discussed above improve the body’s ability to digest and tolerate these foods, so you should have nothing to worry about. As an extra precaution measure, you can begin administration with half a capsule and see what happens. It is difficult to give a price on this supplement, as the manufacturer does not sell it directly, but through authorized distributors, and the official website does not provide a list of distributors for the U.S. We found it on Amazon, but with huge price variations from one seller to another. Just to give you an idea of how much money you would have to put out of your pocket, the 30 capsules bottle should cost around $12, the 60 capsules bottle should cost around $21, and the 120 capsules bottle should cost about $40. These prices keep daily costs under the $1 threshold, making this supplement quite affordable, especially given the above presented strengths. According to the manufacturer, due to the high CFU count, users whose guts are overloaded with pathogens could experience gas, bloating, headaches, and nausea. These would be the result of the toxins release in the users’ bodies when the pathogens die off, and can range from barely noticeable to strong enough to interrupt treatment. The side effects should only last for a few days, but to make them easier to bear, the manufacturer recommends beginning with a lower dose and increasing it gradually. Keep in mind that these side effects are common to most highly rated supplements, and they could be a sign that the probiotics are alive and working. Unfortunately, this is where the good news regarding this product stops. 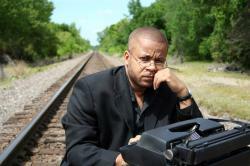 We couldn’t find any information on manufacturer guarantees. Of course, this could be due to the fact that the supplement is only available through third party retailers who have their own guarantees and refund policies. However, given the affordable cost of the 30 capsules bottle, you could start from it, and only order another supply when you are sure the product works for you, and your body tolerates it well enough. Most refund policies don’t cover shipping and handling, which usually revolves around $12 or even more, so you won’t lose anything. As mentioned, the supplement is only available through 3rd party retailers, so choose your supplier carefully. Local supermarkets like Walmart and Tesco, and specialized retailers like LuckyVitamin or VitaCost could be a great choice. The facts speak for themselves when it comes to this supplement, and there aren’t many bad things to consider. Sure, a clear manufacturer warranty would have helped, without necessarily saving you money, and taking 4 capsules a day could be a burden. However, in a myriad of products that promise the world and deliver close to nothing, you have to appreciate a good thing when you find it. Reputation, certifications, awards, 3rd party test results, positive customer reviews: what more could you want from a probiotic supplement? If you’re looking for an effective multi-strain probiotic, Bio-Kult Advanced Multi-Strain Formula should be one of your main options, just don’t forget to start with a low dose and work your way up, to avoid killing all those pathogens at once! Be the first to comment on "Bio-Kult Advanced Multi-Strain Formula Review"